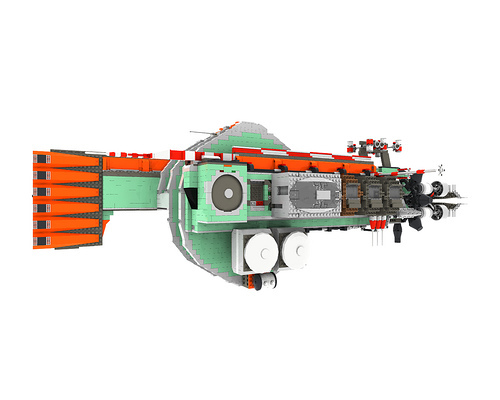 Chris Parkinson built an impressive SHIP over the course of eight months called the Resource Scout, designed as an exploration vessel to find new resources. The picture above is actually a render, but the real photo can be found here. To see more pictures including the construction process, visit the gallery on Flickr. VEry nice ship. Assemetry FTW!